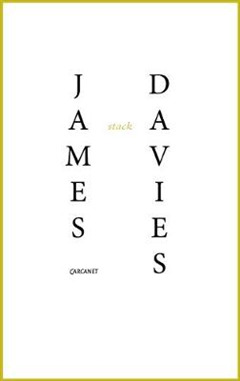 stack is a book-length poem, and the debut Carcanet title of one of the UK's rising poetry talents. Described by its author as a document of `minimalist interventions', the small descriptions that make up stack capture seemingly - and actually - everyday scenes, `found' images from walks, tabletops, cafes, bus stops, and the conveyor belt of still-lives that is the poet's imagination. 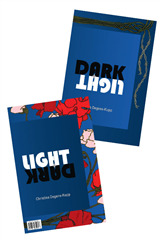 Following in the footsteps of minimalists such as Aram Saroyan, Robert Grenier and Robert Lax, Davies has dedicated much of his life as a writer so far to finding innovative ways of saying less. Resisting the poetic trend of showing why ordinary things are magical, his writing shows why ordinary things are ordinary: a packet of beef, the roof of a shed, computer stuff in a computer bag. Yet there is a philosophical aspect to stack. The uncanny precision of its images, the tiny disruptions in grammar and syntax, feel like symptoms of language's attempt, and failure, to reflect the world. Each time words move in to capture it, reality slips: something is added, or something is lost. stack can be read as a list of discrete compositions, a series of connected images, or a set of modular combinations. 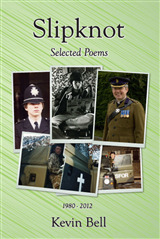 What binds the poem is Davies's flair for slow, disinterested inspection. The result is a poem that invites its readers to linger, to dally - a welcome curative for our rapid-fire world.